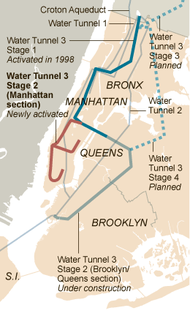 October 17, 2013: New York Times headline–After Decades a Water Tunnel Can Now Serve All of Manhattan. “Of all New York City’s sprawling mega-projects, the water tunnel snaking beneath the grid — connecting the Bronx to Upper Manhattan, Upper Manhattan to Central Park, Central Park to Queens, and, eventually, Queens to the western edge of Brooklyn — is perhaps the hardest to love…. But as Mayor Michael R. Bloomberg turned a ceremonial wheel in City Hall Park on Wednesday, sending waters gushing into a fountain, the city arrived at a seminal moment. Commentary: This is a very big deal. Multiple generations of “sandhogs” have worked to construct the tunnels feeding water to New York City. If they had only scheduled it two days earlier, they could have started this new water delivery tunnel on the 171stanniversaryof the celebration of the opening of the first comprehensive water supply for the City—the Croton System. 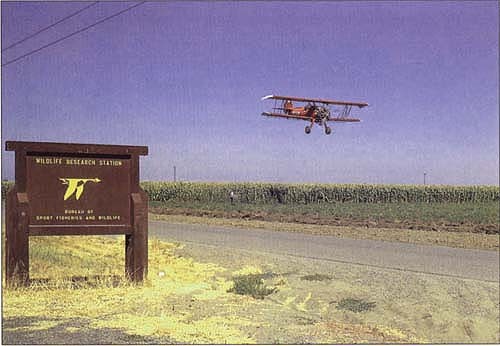 October 17, 1982: New York Times headline–EPA Plans to Curb Use of Toxaphene. “The Environmental Protection Agency will restrict the use of toxaphene, which was once the most widely used pesticide in the country but has been identified as a possible cancer-causing substance, officials said today. The agency’s spokesman, Byron Nelson, said the details of the restrictions would be announced Monday. Toxaphene has been used widely to protect cotton crops in the South, but it has also been detected recently in fish in the Great Lakes, leading scientists to conclude that winds were sweeping the pesticide into far wider areas. William A. Butler, the Audubon Society’s vice president for government relations, asserted today that the restrictions were being announced now by the Reagan Administration to achieve a political gain for the fall Congressional elections. Commentary: EPA announcing an environmental action to somehow obtain a political advantage? Boy, this wasa long time ago. This entry was posted in Year 7 TDIWH and tagged drinking water, New York City, pesticide, toxaphene, Tunnel No. 3, water, water history on October 17, 2018 by safedrinkingwaterdotcom.